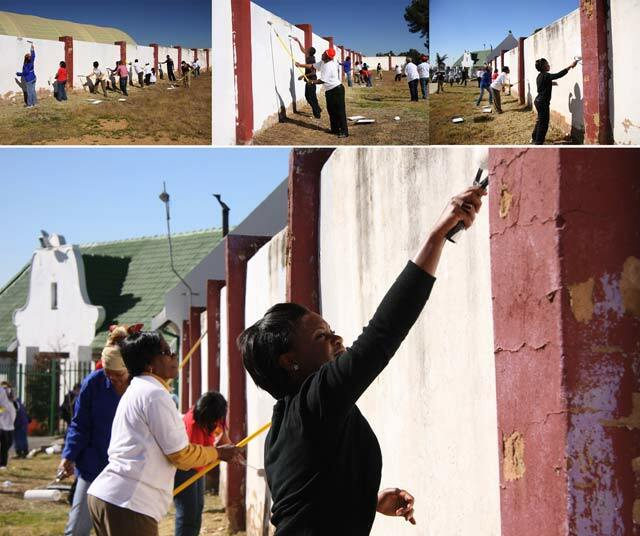 Agang Sechaba is a women’s initiative which was formed by professional women who are passionate about community development. The centre hopes to improve the lives of the children and women in the South African Communities. Basetsana Kumalo, Tswelopele Productions’ Chairperson, became involved with Agang Sechaba during its inception five years ago and has helped to raise funds to look after 500 child headed households though events such as the Annual Gala Dinner,mowatches Golf Day and High Tea. Last year Tswelopele Productions helped host a Christmas party for 750 children with the aim of givingeach child an opportunity to experience a ‘normal Christmas’ season with gifts, a party and food hampers to ensure that the whole Christmas season is a happy one. The Makeba Centre in Midrand is home to girls between the ages of eleven and eighteen which aims to provide a sanctuary for girls that have been destitute and/or abused, and have been removed from their circumstances through a court process. The centre hopes to provide the physical, emotional and financial support the girls need whilst they continue with their studies in the aim to provide hope for their futures. By equipping the girls with life skills they hope to open the door to a brighter future than the one they came from. The house in Midrand is currently providing a home for 18 girls but they would like to help more girls in the community. Ultimately, the dream is to have a Makeba Centre in every province of the country. Tswelopele Productions are involved with the Makeba Centre for Girls through Agang Sechaba. Many of the girls needed new warm pyjamas and slippers to help keep out the winter chill. 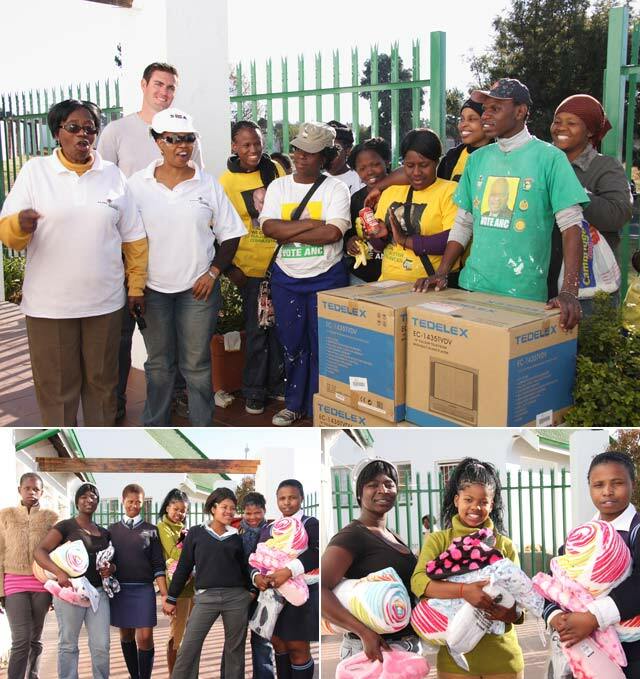 Tswelopele Productions purchased these items as well as hot water bottles and blankets for each of the 18 girls. These comfort items will help to keep them warm as they study. We also included four tv’s for that all important r&r time. I would like to take this opportunity to thank you on behalf of the ladies of Agang Sechaba for your generosity towards the Makeba Centre for Girls, through Agang Sechaba. Monday was amazing to say the least. The hard work displayed by all the team members; I have no words to describe it! What looked like a daunting job, just melted away as your team sank its teeth through it. Richard and his team were something else. I am truly amazed! The right evening replica bag has eluded me for a long time. My aaa handbags replica penchant for adorable little beaded clutches means I can’t carry anything further than a charge card along with a small lipsticks after i venture out, meaning I finish up Louis Vuitton Bags Replica transporting my iPhone around through the night (quite rude).